How many ants live in this nest? The Ant walk 4 March is postponed to Sunday, 11 March 2012. 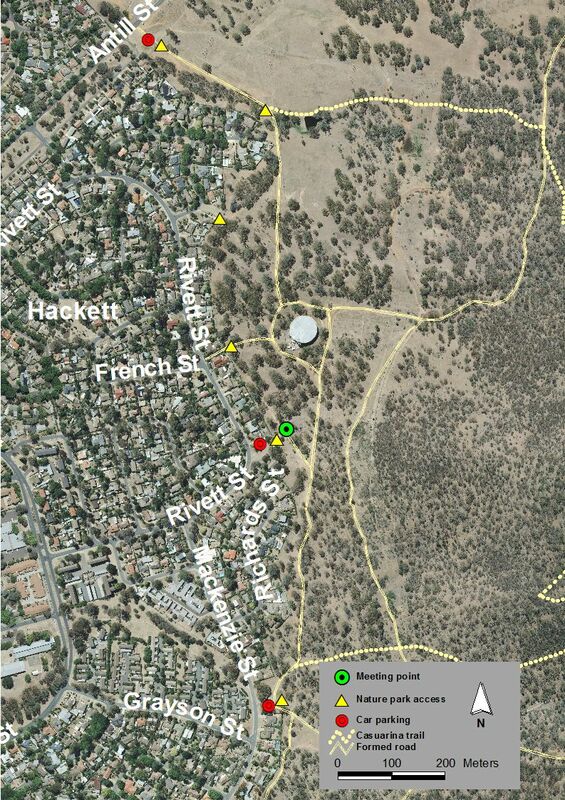 You can also join the ant walk on Mt Ainslie on Sunday 18 March; for details see below. Join ANU myrmecologist Ajay Narendra for a glimpse into the fascinating world of one of the most dominant animals on the planet. 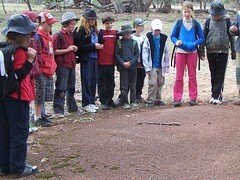 Learn amazing things about jack-jumpers and other ants that live on Mount Majura on a Sunday afternoon stroll. Kids accompanied by adults are especially welcome. Please bring a magnifying lens if you have one and wear covered shoes and sun protection. It is important to notify us if you are allergic to ants or bee stings. A gold coin donation to support the conservation work of the Friends of Mount Majura parkCare group would be much appreciated. Where: meet at Canning St entrance to the Nature Reserve. Ajay Narendra (right) and Sam Reid study visual guided behaviour of bulldog ants on the Mount Majura ridge.